Erisksay island, located at the southern tip of South Uist. 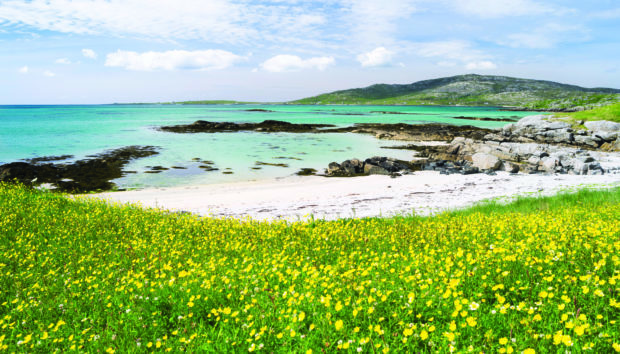 A new nature reserve is to be created within a crofting estate in South Uist in the biggest land transfer by Scottish Natural Heritage to a community group. With 2,718 acres of land at Loch Druidibeg, South Uist brought back into community ownership, local group Stòras Uibhist, in partnership with RSPB Scotland, has big plans for the site, sure boost tourism. They include visitor facilities, habitat, goose and deer management, enhanced drainage and water quality and improved access to the loch. It is the first time a loch has been transferred to community ownership by SNH and the entire deal has been secured for a nominal fee of £1. The plans have now been approved by the Scottish Government. David Maclennan, SNH area manager for Outer Hebrides and Argyll, said: “We have been working closely with Storas Uibhist and RSPB Scotland on this proposal for some time, and we are delighted approval is now in place to proceed with the transfer. Angus MacMillan, Storas Uibhist chairman said: “This is an extremely exciting opportunity for Storas Uibhist to work closely with SNH and RSPB to deliver meaningful environmental and habitat management in this area of South Uist. Land Reform Secretary Roseanna Cunningham said: “The transfer provides a unique opportunity for the community trust, working in partnership with RSPB Scotland, to showcase its commitment and vision for the Loch and surrounding area. “I am grateful to SNH, Storas Uibhist and RSPB for their work in reaching agreement, and for the local community’s commitment to securing a long term sustainable future for the area.